Holy Spirit Music Ministry embraces many styles and musical traditions as a way of celebrating the diversity of the Body of Christ. 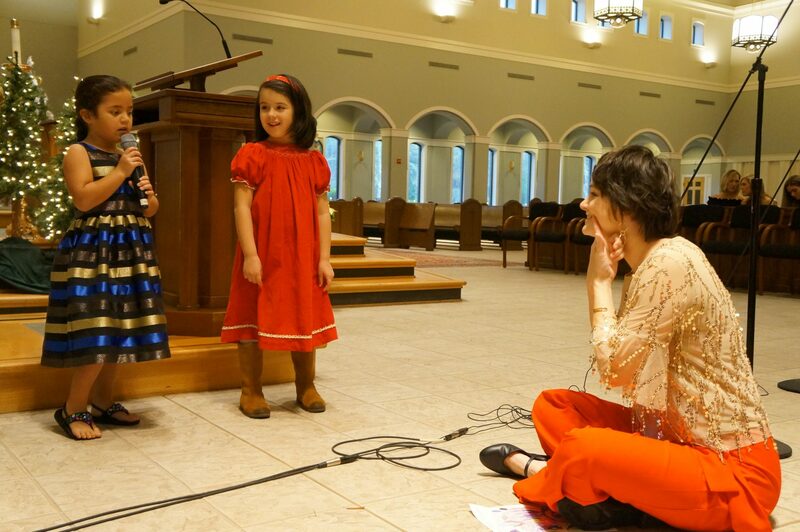 We invite parishioners and non-parishioners of all ages, backgrounds, and experience levels to participate in our music programs: we come together Wednesday evenings in the church sanctuary during the choir season (October—April). Contact: Laura Ball at 843-810-9708. 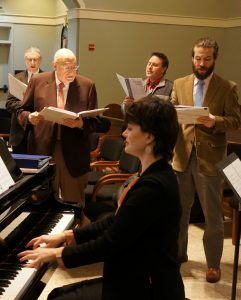 Cantors lead the musical Liturgy of the Word and undergo 1-2 months of partner training before entering the cantor rotation. You may become a cantor without being a member of any of the choirs at Holy Spirit, although many of our cantors also participate in one or more choral groups. All materials and training are provided. Interested parties should schedule a meeting with the Director of Music. Our parish volunteer choir sings for the 9 am liturgy during the choir season as well as Christmas and Easter services. 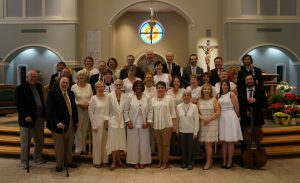 This volunteer group welcomes full-time, part-time and visiting members of our parish community from all musical backgrounds. No previous experience is necessary to join. This small group of auditioned singers form the vocal chamber ensemble for the Parish, historically known as the Chancel Choir. The Schola augments our music ministry by providing music for the 11 a.m. Liturgy once a month and assisting during other holy days, feasts, bilingual services and the Easter Vigil. Auditions are by request or at the invitation of the Director of Music. All Schola Singers participate in our Parish Choir (Wing-Its). 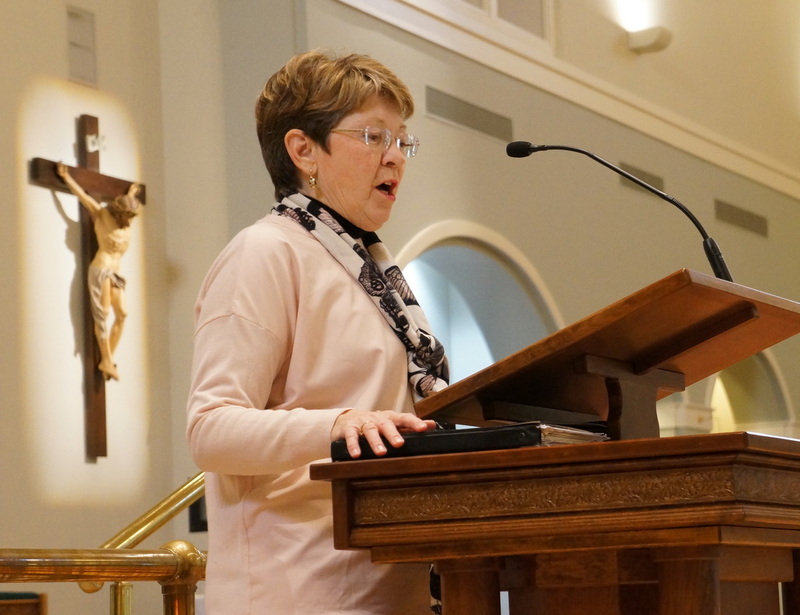 In partnership with our Ministry of Religious Education, our young people receive training in the musical liturgy on Wednesdays as part of our Faith Formation classes. The Youth Choir participates throughout the church year in special Holiday and Marian Feasts. All voices and instrumentalists are encouraged to participate in our Youth Music Ministry. Do you play an instrument and would like to share your gift of music with the Holy Spirit parish family? Please contact our Director of Music to find out how you can become more involved in the music liturgy at Holy Spirit Catholic Church. ALL instruments are welcome!